According to wikipedia: Frere Jacques is one of the most widely known songs on earth. It also happens to be the name of a French Canadian Cheese. This firm fromage is produced in Quebec by Benedictine Monks at the Abbaye De St-Benoît-Du-Lac. 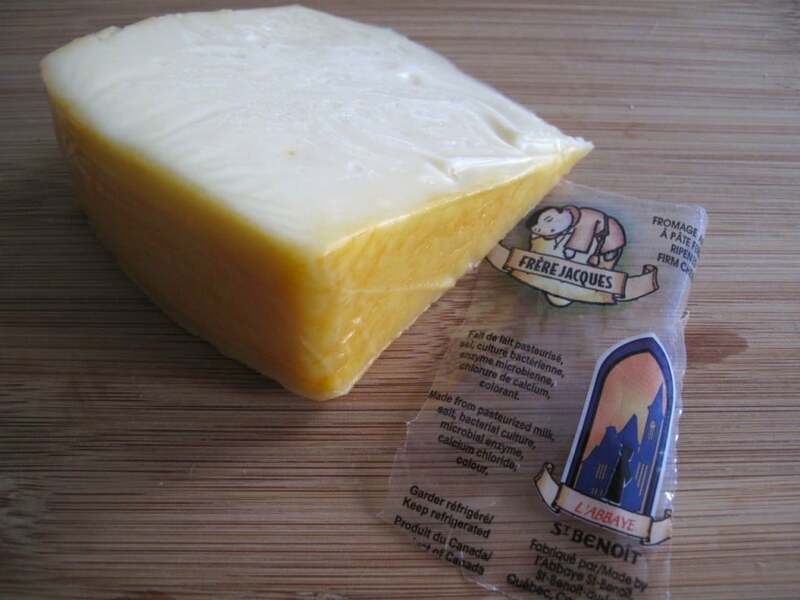 It is made from cow’s milk and has an orange coated rind. The cheese looks a little like Jarlsberg featuring large air holes also called “eyes,” with 32% milk fat and a 42% moisture content. Frere Jacques has a faint hazelnut flavour with a chewy, almost squeaky, texture.